Pinot's Palette is partnering with Howard County Recreation and Parks for a monthly series of Fall Paintings. For this beautiful painting you may sign up here or contact Danielle Bassett at 410-313-4634 to register through Howard County Recreation & Parks. 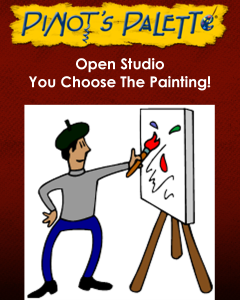 The painting session will be held in our studio in Turf Valley Towne Square plaza from 7-9PM. Doors open at 6:30 and our famous Wine Bar will be open. Our professional team of artists invite all of those interested to join us for a fun and exciting paint adventure.